The stay by Robert, Sheri, Daisy and Harper came to an end and we won't see them all again for - almost a week. Harper was on good form. He'd done a spontaneous drawing that surprised us. Daisy is always effervescent. There was no race but they were all off just after 11am. We got the house the way Pauline likes it, had some lunch and then went off to find some new shops for us on the edge of Birmingham. We got some odds and ends and then got back for an early meal. Pauline cooked a cottage pie for me to take with me and I went off to Heartlands Hospital to pick up Nick and Charlotte Lamb. Tash is having a tough time and the two of them had been there all day. I took them back to Fradley and left them with the dinner. This chapel was founded in 1446. 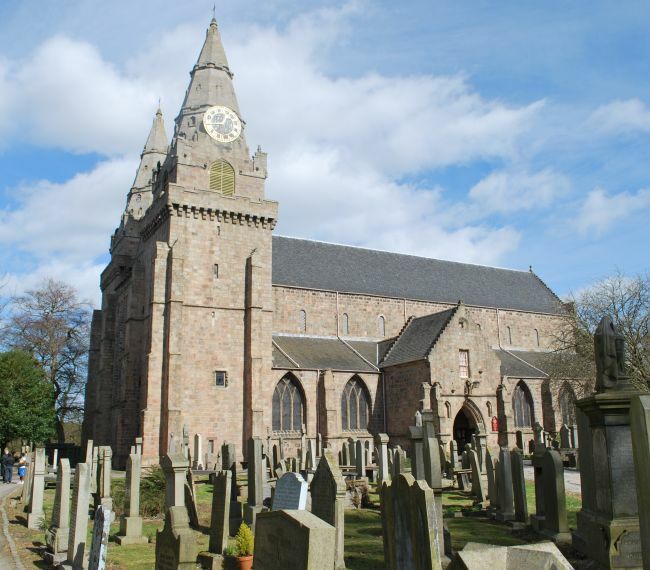 It began life as a Catholic Church but fell into ruins after the Scottish Reformation when Catholicism was banned. 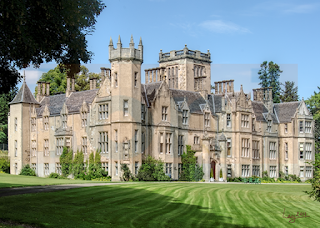 The Sinclair family rebuilt it and along with their amazing construction came wild rumours and speculations. From somewhere came the story that the Knights Templar had escaped the persecutions in France and had secreted the Holy Grail at Rosslyn. Some of the carvings around the chapel were open to wide and wild interpretations, especially as there are 110 carvings of Green Men. There is a pillar called the apprentice pillar. 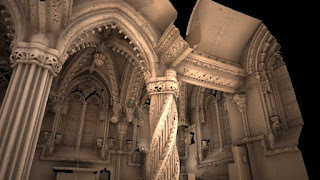 Freemasonry includes two main pillars in one of its ceremonies and that, coupled with a claim that Rosslyn mimics the design of Solomon's Temple, led to convictions that Rosslyn is all about Freemasonry. The Sinclair family supposedly provided a few Grand Masters, and so the rumours grew until Dan Brown wrote the Da Vinci Code in 2006 and more or less confirmed everything - in some people's eyes. Whatever, a trip to Rosslyn Chapel is worth a detour. You can make our own mind up, but I'm already working on a story involving King Solomon, Hiram King of Tyre and Hiram Abiff. In Fradley I saw 7 lots of Trick or Treaters. Some dressed as ghosts and others as ghouls. Personally I'd rather be caught by the ghosties. This was a Friday with a difference because there were four other bodies around the house, and it was raining outside. So Robert cooked us a special breakfast, I took the four sacks to the Sorting Office, and then everyone settled down to watch a DVD, ostensibly for the kids but weird enough to captivate the adults too. Very politically incorrect. After lunch we walked into Lichfield for Daisy and Harper to spend their pocket money from helping with the talking news. Then we did a tour of the plaques on the walls all around Lichfield. Minster Pool was magical as the autumn leaves had all drifted to the Eastern end and the Canada Geese had arrived in droves. 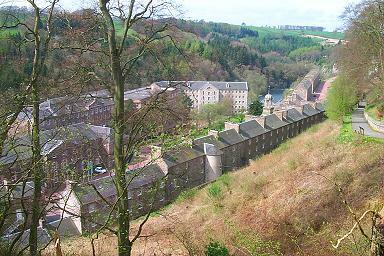 It's a good twenty years since we went to New Lanark, but it still sticks in the mind. It was one of the first places I went to with animated explanation points around the buildings and displays. It would be good to go back, if only to see how they have progressed that idea. Just as the Cadbury family founded Bourneville for the betterment of their workers, so David Dale created New Lanark inspired by altruism and a genuine desire to see his workforce enjoy a better life. In 1786 Dale cooperated with Richard Arkwright to build a huge mill surrounded by homes for all the workers. Dale, and later Albert Owen, tried to create a utopian environment. 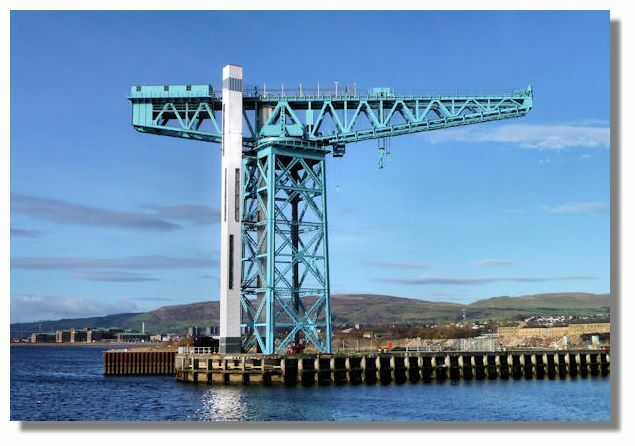 Arkwright provided the engineering for the mill and the mighty River Clyde provided the power. 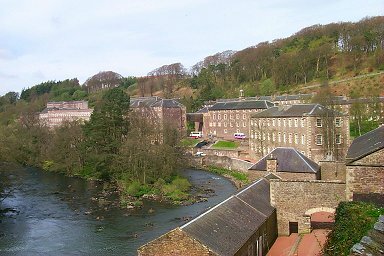 The emergence of Far Eastern sources of clothing materials at drastically lower prices saw the demise of mill industries right across Britain and the New Lanark mill finally closed in 1968. Owen in particular had tried to drag people out of poverty. The village became home to 2500 people and Owen established facilities for the 500 children who lived there, many of whom had been born into poverty in the slums of nearby Glasgow. A tunnel was built that drew water off the Clyde and into the mill. You can walk a path from the village to the falls, which can be a raging torrent or (when the water was diverted) a gentle trickle. Chatelherault Country Park and Gardens used to include a palace in its grounds but the Hamilton family demolished it in order to gain wealth from the sand on which it stood. The family housed themselves in a lodge, which began to be affected by the excavations. Floors are uneven and visitors sometimes claim to be 'seasick' if there too long. 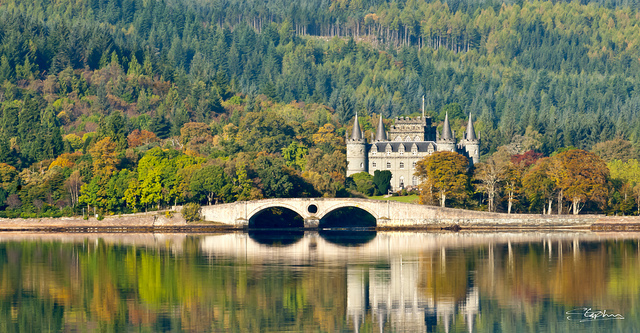 The 14th duke died in the early 1970s, the quarrying stopped, the estate passed to the nation in lieu of death duties, and the area was developed as a tourist attraction and is one of the more popular visitor sites in the region. Apart from having a house full of family, this had to be a normal Thursday. However, having downloaded the magazines yesterday and with no Live at Home Scheme today, it didn't seem as pressured as usual. Because it was raining, everyone decided to go to the Museum of Childhood at Sudbury (where Daisy could climb inside chimneys like a sweep) and that gave me the morning to myself. So I recorded the Stevenage Talking News and was able to finish off some paperwork as well. Daisy came with me to the studio and helped (really) with processing Stevenage, Scotland and Gwent. When Wilf and Keith arrived, as well as Robert, she entertained us royally and amazed everyone with her reading abilities. Pauline Mitchell and Deborah came to read. Keith led the team. Ben arrived nice and early and Peter Fox was there for the wrapping up process, so I was off the leash a bit and got a lot of work done, particularly for the SNA. I only went there once. 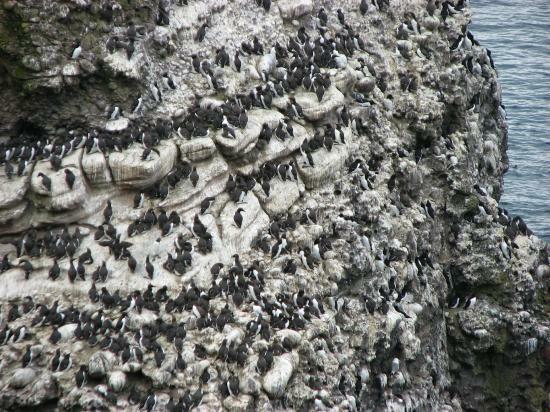 Anywhere with an RSPB reserve (or National Trust or English Heritage) is a likely stop off because I have membership. 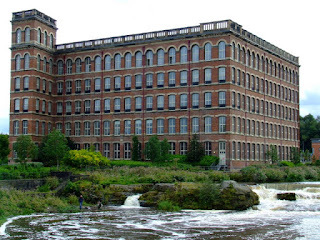 My image of Paisley stems from my early days at work when British Leyland had an operation there and the picture that was portrayed was of massive mills and heavy industry. Paisley was indeed famous for its mills, but the last one became defunct about 30 years ago, although the woollen mill heritage can still be seen. Paisley Abbey was established in the 12th century. There was a church on the site since the 6th century. Work on the new building began in 1163 and some monks were transferred there from Much Wenloch in Shropshire (the home of the modern Olympic Games). Everything is about timing at the Lochwinnock RSPB Reserve. It's one of those places you can go to throughout the year because of the changes with migratory birds, but this time of year (which is what it was when I went there) will let you catch a glimpse of twite, grey wagtail, scaup, Water rail, goldeneye and many other more common water birds in particular. Everyone went off to the Museum of Childhood at Sudbury. I declined to go. It's like being back in my bedroom all those years ago. It's sad when you realise you used to play with museum pieces, only they were new back then. The ladies decided today would be a girl's shopping trip. Daisy classed herself as included, and so off they went for a massive sortie around Ventura Park. I went to a Costa meeting with John Morgan and Steve Searle of the SNA. We decided to make these meetings more formal, and so I took minutes. On the way back I collected four mailbags of returns and Harper earned some pocket money by helping me sort them into colours, so that Lichfield, Gwent and Stevenage were kept separate. Later, after lunch, Daisy helped me process the returns, checking for messages in the envelopes, taking out the USB stick, turning the label and recording the number on the label. That 'help' meant I was finished in two hours. I took everything, including downloaded news for Gwent and Scotland, to the studio and then carried on to pick up Rita. Gerard and Margaret joined us and we had a mini dinner party, something we don't do often enough. The meal was really good and the night was very convivial. I only made one trip to this region. 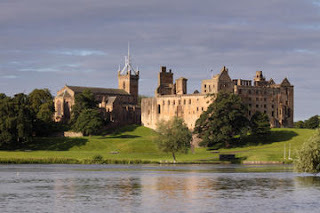 The House of Binns is a National Trust (Scottish) property, despite being the residence of the Dalyell family, and Lithlingow was chosen as a photo opportunity on our car launch drive. The House of Binns is impressive. Established early in the 17th Century the house had a relatively untroubled existence and houses impressive displays of porcelain, furniture and artwork, including many family portraits. Lithlingow Palace is a sad affair. A royal manor occupied the site from early in the 12th century. The palace was built to replace that and was a very important structure for two hundred years, especially during the 15th and 16th centuries. 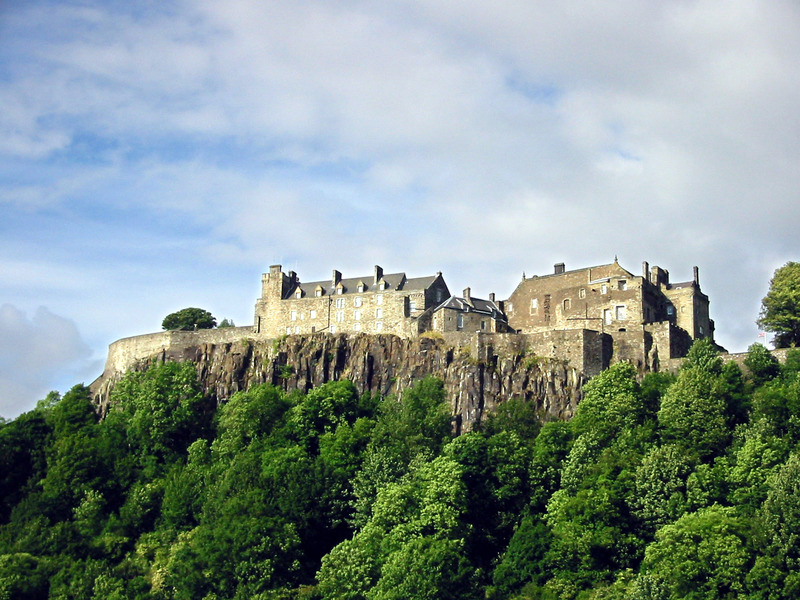 Its position made it important as a guarding post between Edinburgh and Stirling, but the Duke of Cumberland saw danger in its potential, so burnt it down in 1746. 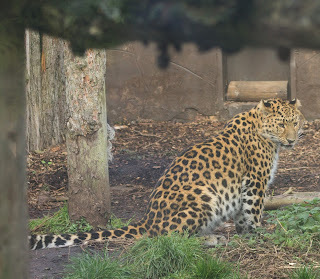 I blogged about Twycross Zoo a year ago and didn't expect to have anything different to say, but today's visit showed just how quickly the zoo is changing and the new build work that is ongoing is considerable and so I'm sure it will be different again on our next visit. Pauline needed to take Rita food shopping, but I was allowed out with Rob, Sheri, Daisy and Harper. The drive to the zoo takes half an hour, through lovely countryside, and the weather was kind to us. The sun made it through several times and our four hour stay meant that we were able to see about half of what's available. They are big creatures to hide, but we didn't see an elephant. 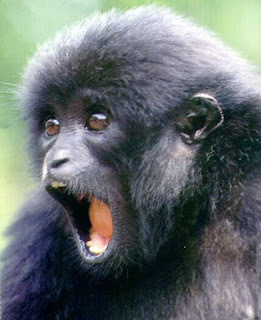 However, the primates more than made up for it and the antics of the Siamangs kept us entertained for quite some time. Two Siamangs were trying to swing on ropes and the bigger one wanted both ropes, but the smaller one wasn't going to be bullied. There were endless tussles with the big one trying to dislodge the smaller, but every time he lost his grip of the rope he managed to grab his assailant, throw himself above him and land on top of him. In the end it was tiny tots who won. There was a Halloween theme and Daisy and Harper had to get 13 stickers or feathers, so that determined our route. 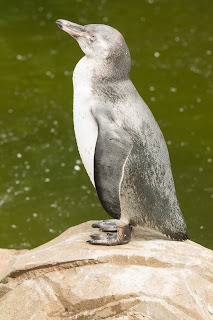 The Humboldt penguins were delightful, espe3cially as you are able to observe them above and below the water. 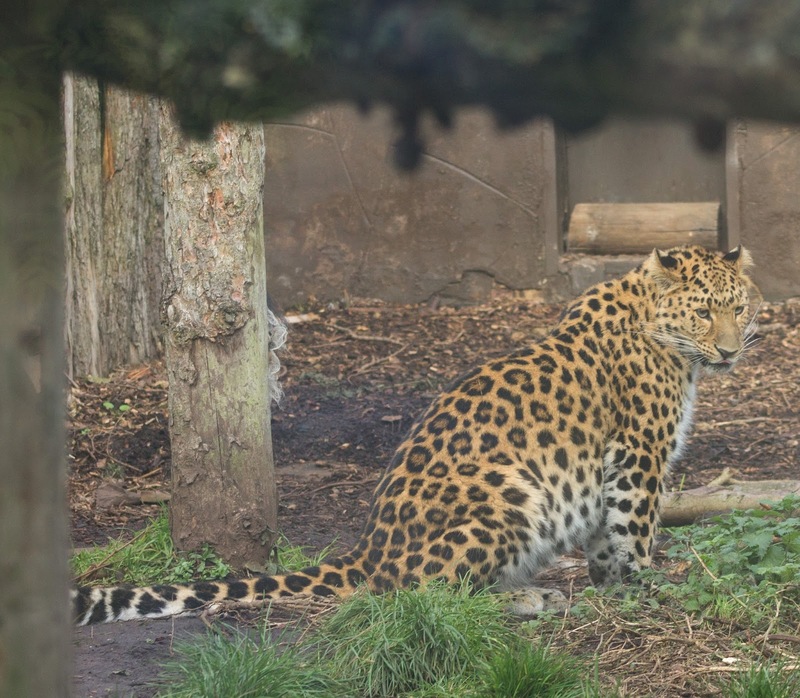 The Amur leopard is a sad case. There are ten times more in captivity than there are in the wild. There may be only 200 left uncaged. What are we doing to our world? Final preparations for our visitors and then I walked into Lichfield to bank money for the Talking News. We are at that stage of the year when the direct sunshine is still lovely and warm but a sideways step in shadows sees the temperature drop five degrees. For the most part I managed to stay out of the shadows. Robert, Sheri, Daisy and Harper arrived at lunch time. We followed that with another walk into Lichfield. There was a lovely dinner, and then I went off for a Lion's meeting at The George. Discussions were wide ranging and there were some good ideas to follow through. 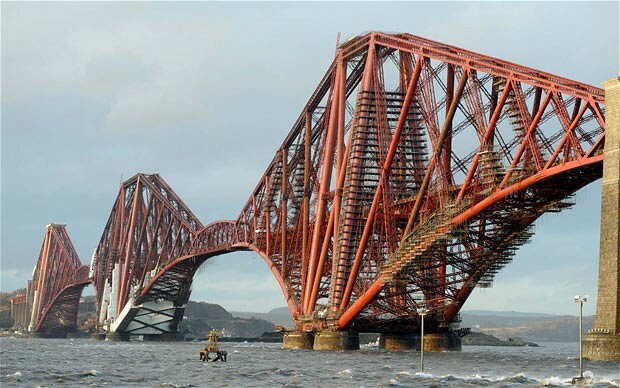 The mighty Forth Bridge is hard to miss. Opened in 1964 this 2517m long suspension bridge was built to replace the ferry service that had operated on the site since the 11th century. 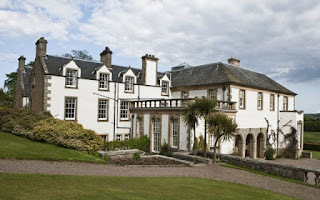 The Hill of Tarvit Mansion stands in lovely landscaped gardens. Entry through the main hall brings you to a beautiful Flemish tapestry. Furniture is the by word at Tarvit and various rooms display classical English and French furniture in particular. 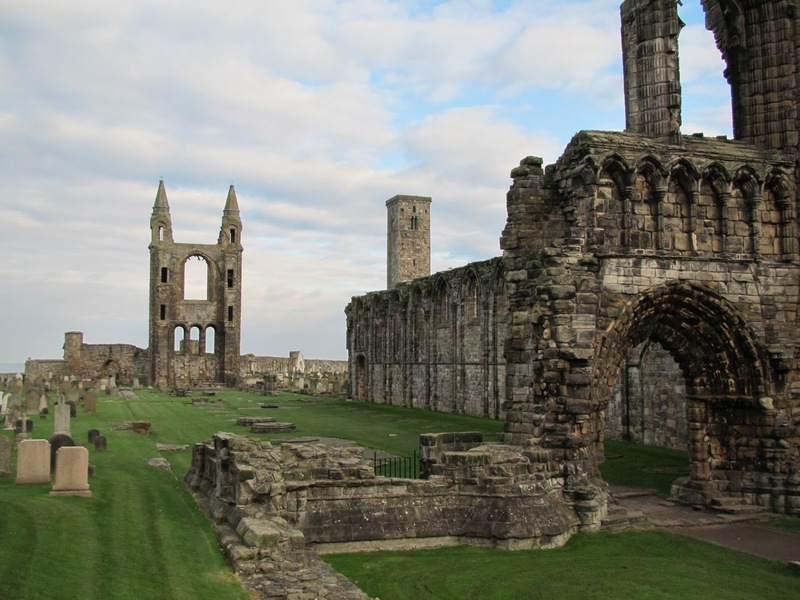 St Andrews Cathedral was built in 1158 besides the St Rule's Tower that already existed. The tower still stands and provides panoramic views, but the cathedral, the biggest church ever built in Scotland, fell into disuse during the Scottish Reformation and is now a sad ruin and a graphic reminder of what once stood on the site. 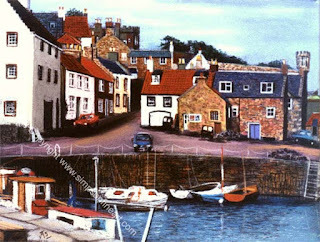 The lovely Crail Harbour is a step back into time. 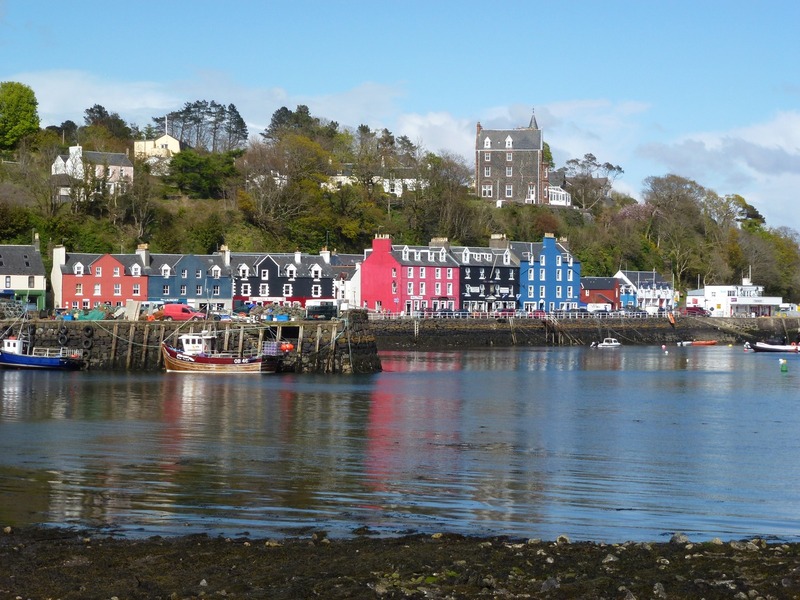 The site has been occupied as a fishing village for at least 1000 years and many of the buildings around the tiny harbour are a good 300 years old. The streets are cobbled and the atmosphere is warm and welcoming. My favourite memory of the area concerns a Hyundai Press Launch for a 4x4 off roader. We were housed at the hotel at the St Andrews Golf Course. From there we were asked to drive about 30 miles to a quarry where we could try the car out. My colleague Brian was driving. As we approached the quarry we saw a 4x4 perched on top of a hill. Brian turned off road and drove to the top. The hill was very steep but we knew the drill. In conditions like that you zig zag. At the top we looked down on a steep face with about 200 feet to go to the gathering of hacks that had got there before us. Someone waved and Brian said, quite adamantly, that he was not going to drive down there. I could do it! The trick with off roaders is to take it very slowly. Second gear going up hill and first gear coming down. Tuck your feet under the seat, out of harm's way, and let the car do the thinking. So we did. It was a bit hairy but we made it down, to find ourselves thronged by press officers. "We thought you would roll all the way down." said one. "So why did you make that part of the drive?" asked we. "Why did you put that marker up there on the top?" "We didn't drive it there. We put it up there by helicopter." There is a proverb that goes "Everything that happens once can never happen again, but everything that happens twice can surely happen a third time." To which I say, my brain hurts. This was a day with a difference For a start we gained an hour in bed! With Robert & Sheri coming for a big part of the week ahead we set about getting the house in order. Pauline then took Rita to church and I went to the Gartmore Riding School at Hammerwich. 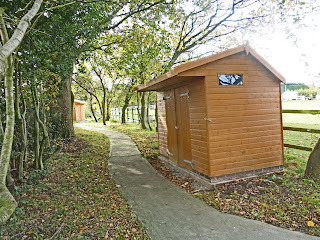 Normally our connection is through riding for the disabled, but the school caters for all children and is trying to partially integrate the two factors. I was joined by John Cassie, Gary Nye and his daughter Katie. We were shown round the facility, which was much busier than the one other time I visited. We watched a performance in the indoor arena, sparring in the outdoor arena (there was a medieval knights theme going on), a steam engine in the paddock, and then we went down the Sensory Walk. 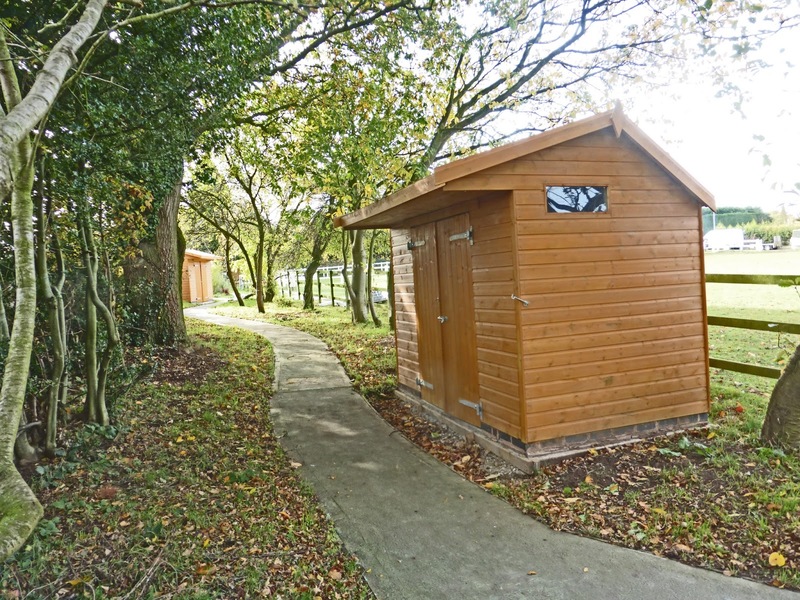 We had previously donated enough to buy a shelter and this will be kitted out in January. Back home and finding myself with pocket money unspent, I suggested we go out for Sunday lunch. Because Rita has never been to the Barton Marina we went to The Waterfront. Pauline said her meal was OK, Rita was more than happy but I was singularly unimpressed with my meal. The service was quite poor and if I had cooked my gammon grill I would have been very disappointed with myself. 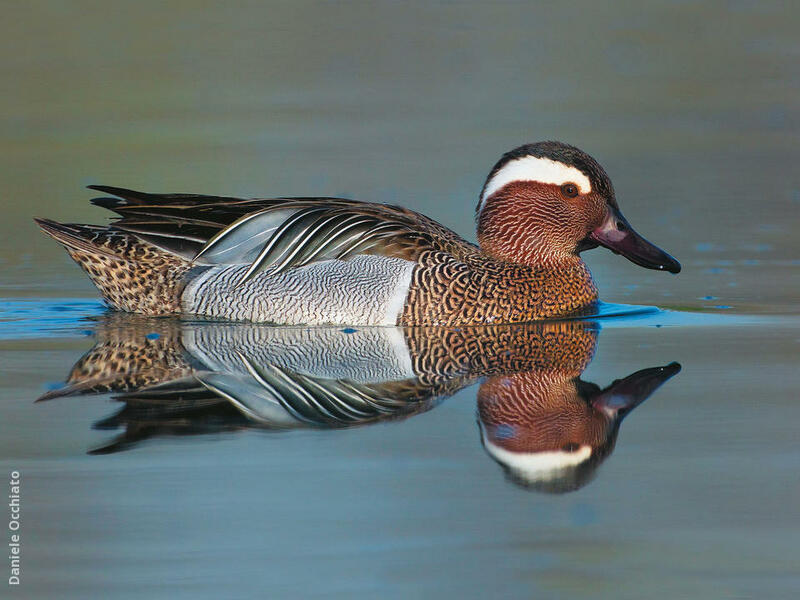 Loch Leven is a lovely stretch of water but the bonus to me is that the RSPB have a reserve there with lots of birds I would never normally see, including wheatear, osprey, skew, shelduck and, for the first time, garganey. Castle Campbell may be classed as a semi-ruin but it is still impressive. 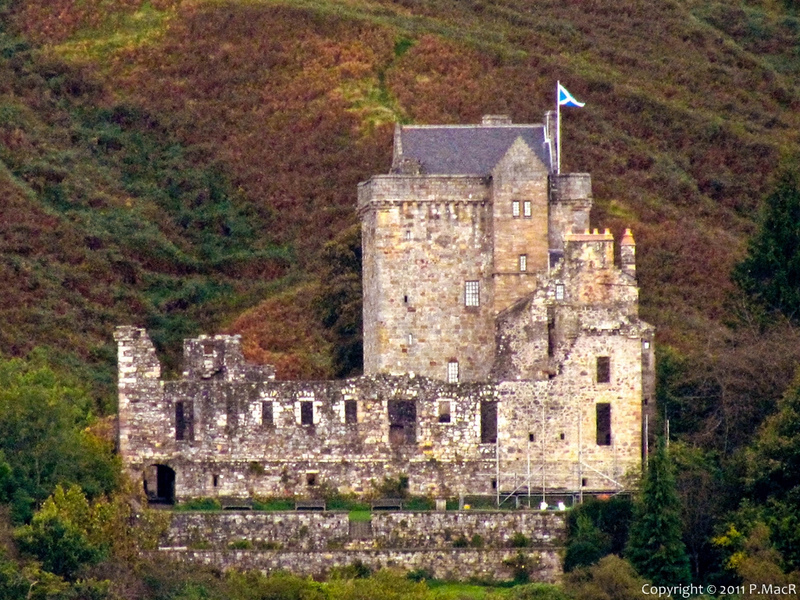 It sits above the Dollar Glen with the Burn of Sorrow tumbling down and the Burn of Care adding to the defenses. Established in the 15th century, the castle protected the mighty Campbell Clan for a very long time, allowing them to switch sides at will and seeming impunity. As I lie here in bed this extra hour I think - my kids are going through what they put us through over so many years. I know it's mean but it makes this extra hour doubly sweet. I saw today as the last hurdle. It may not appear so from my journal but the last few months have been quite pressured. I am no longer a governor at Rocklands, nor am I secretary of the Talking News Federation, but the Lichfield Talking News grows almost every day and there is also the Lions and the Staffordshire Neurological alliance. The list of tasks was growing and the number accomplished each day seemed to shrink. This past week I have really got my teeth into things and I can feel the pressure coming off. There was only tonight's concert to raise funds for the Talking News and my fear was that it would be a disaster. Pauline has her hands full with Rita at the moment. When we are missing for more than a couple of days we get regression, probably because Rita doesn't eat properly if we are not either providing the food or supervising the provisions. I had five sets of records to raise for the TN. Four were new listeners and the other was a change of address. I was working on the new list and had got to 16 Vine Court, Earlswood when the phone rang. "Can I give you a change of address. We're moving to 18 Vine Court, Earlswood." I said "Say hello to Bernie. He's next door at number 16." Pauline cooked a wholesome vegetable soup for lunch. John J brought Rita round, so we gave her some of that too. I went into town to buy raffle tickets and then over to Burntwood to return the media player, complete with plug! Next it was the Parish Hall where I set out 30 seats for the choir and 16 tables and 44 chairs for the audience. Pauline cooked a lovely meal then I went back to the hall at 5.45 and let Kaleidoscope in as they began to arrive for a warm-up practice. I collected Caterina and saw her settled, then took over from Pauline on the door. We'd had too many last minutes cancellations and I feared the worst but in the end there were 34 in the audience. Total Stars opened the show and they were enthusiastic, if very nervous. Kaleidoscope were very good and deserved a much bigger audience, but we raised another £200 for the TN and that will keep us going for the best part of a week. 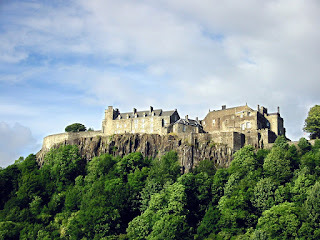 Stirling Castle sits impressively on the edge of Castle Hill. 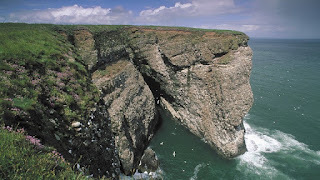 Steep cliffs provide three quarters of its protection. Part of the fortifications are from the 14th century but most of the buildings were completed in phases over the next two hundred years. Eight attempts at laying siege to the castle failed, and we had to pay to get in. The battlements are armed with immaculately preserved cannons, guarding the crossing point of the River Forth. Inside, some of the rooms are sparsely furnished, but wall are bedecked with fine tapestries, but other parts are far more visual and indicative of yesteryear. 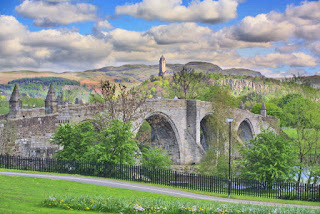 Stirling Old Bridge. The bridge was wooden when the battle of Stirling Bridge took place in 1297. There was undoubtedly a crossing at this point well before the Romans arrived, but the current bridge dates from the early 1500s. Old bridges always attract my attention. 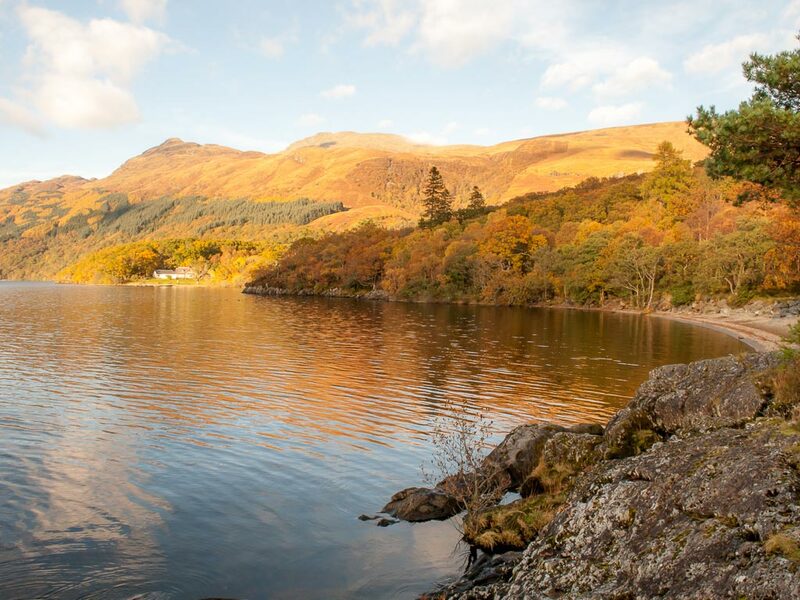 Visit Scotland describes the Falls thusly: Situated in the north part of Loch Lomond & The Trossachs National Park, Falls of Falloch is a beautiful waterfall with a popular beauty spot for picnic. 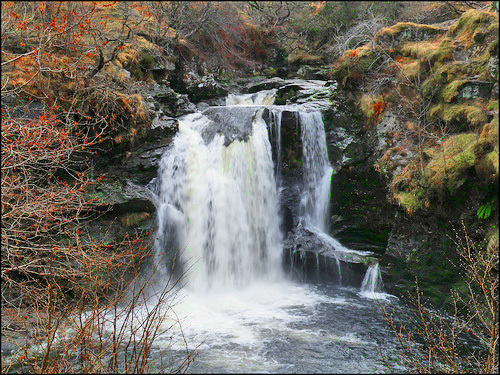 The falls boasts a prime location just over three miles from the village of Crianlarich which makes the site a useful stopping point or brief leg-stretcher if travelling on the A82. 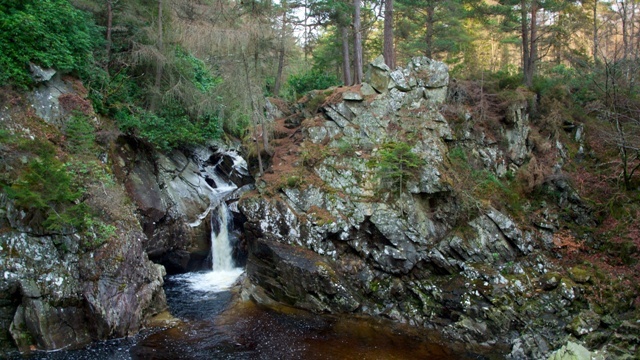 Standing at 30 ft high and with the River Falloch passing through Glen Falloch as it makes its way towards Loch Lomond at Ardlui, Falls of Falloch is a truly entrancing site set in a peaceful glen. Car on the drive won't start. Rang the garage. "Bring it in and we'll fix it!" My brain hurts. I am almost 74. Is it too late to have ambitions? Is it too late to revive old dreams? I don't think so. The Alchemist by Paolo Coahlo has made me see things differently. I feel optimistic and focussed. And about time too. It's a lovely book and I am thankful for the chance conversation with a stranger who recommended it to me. This was almost an old fashioned Friday. Pauline tidied whatever mess I had made whilst she was away and I took four sacks to the Sorting Office. From there I went over to Armitage to see a new listener. He and his lady were lovely people and it was a pleasure to spend time with them. From there it was another new listener in Lichfield, and that took the very last player that I have been able to salvage. We went to Burton upon Trent to start our Christmas shopping. Under the pretext of taking a load back to the car I was able to stash away whatever I had bought for Pauline. Couples should have some secrets. Back home there was a call from another listener in Burntwood whose media player won't charge. I drove over and all the way I was pleading "Please let him be using the wrong plug." When I got there, he was using the wrong plug! But could we find the right one? So I brought it home to charge and found a spare plug. 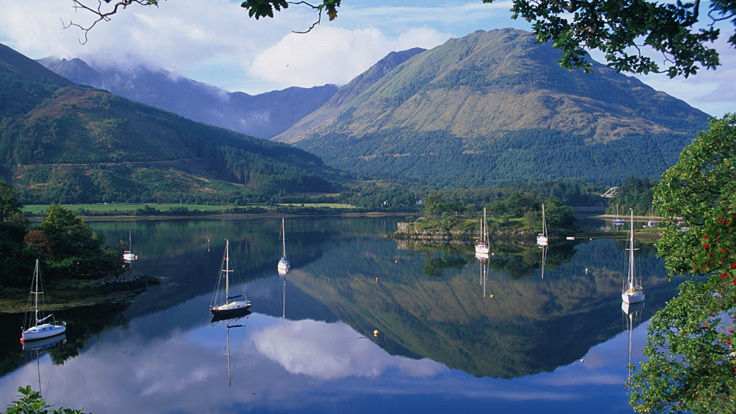 We have travelled the length of Loch Lomond several times but mostly we were passing through the county to other destinations. Whilst Alfa Romeo and Fiat favoured the far north east of Scotland for its car launches, Renault were more keen on the lowlands. 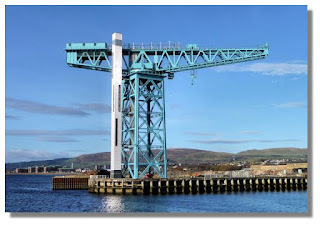 There was one full day drive that ended at Clydebank, high above the river and looking down on shipping and ship building. Loch Lomond is the largest inland water in Britain by surface area and there's some lovely sights simply passing it by. Latch onto a guided tour and you see far more. 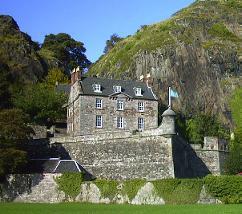 Dumbarton Castle stands on a site that has been occupied since the Iron Age. 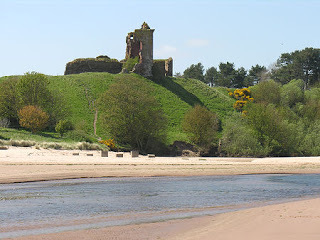 A castle was recorded there back in the 5th century, and with basalt rock protecting its flanks and the mighty River Clyde in front it must have seemed impregnable, but was actually defeated simply cutting off the water supply. We went to a restaurant, but it was closed for lunch. I enter every Thursday with a certain mind set. Really it simply says "Just get on with it,"
The Stevenage Comet and the Rushton Crow appear in my in-box around 8am, but before I can read those I have to download all the magazines (22 tracks this week) and sort out any messages and birthday greetings. Then it's a question of reading until the material runs out. I processed another two new listeners and then went off to do the Live at Home Scheme run. I picked up Pauline from Boley Park and then went for Pam. She wasn't well at all. I could hear her breathing from the front door. She was waiting for the doctor to arrive. I then picked up Elma and that was it until it was time to take them back again. At 5.30pm I was at the studio ready for all the copying and then the recording of the Lichfield Talking News. Wilf was off again tonight, Keith was back and read. Angela led the team with Jane. Ben turned up just as I was giving up, and Peter staggered in late to help with the copying. My visit to Loch Fyne was orchestrated by Renault. 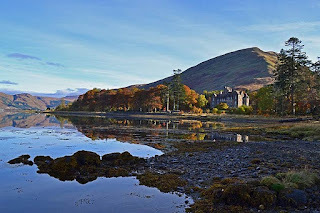 We enjoyed a two hour tour of the Highlands and then found ourselves at a swish hotel on the banks of the loch. As I was sat in the restaurant enjoying a wholesome lunch one of the managers approached. "You," he said to me "are sitting where Tony Blair sat, and you" he indicated my co driver "are in the seat that Gordon Brown sat in for their famous meeting to decide the fate of the labour party." "Was that the famous Granita meeting?" I asked, knowing that took place in London. "Good heavens no," said the man '"This was weeks before then. They sat there for hours." Before I could raise any kind of query he presented us both (and everyone else on the drive) with the biggest Loch Fyne salmon we've ever enjoyed, so I thought discretion was in order. 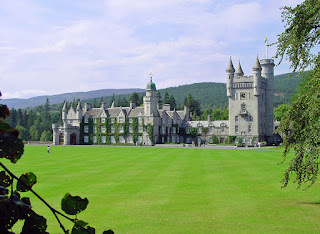 Invarary Castle is beautiful, especially inside, although the gardens and grounds are a joy. The first room you enter is the Armoury Hall. This is decorated with over 1300 weapons, but arranged in the most artistic manner. Amongst the weapons on display are relics from the fateful Battle of Culloden. You approach the castle over a covered bridge that is bedecked with flowers (but not the one shown in the picture). Once passed the armoury you enjoy true grandeur, especially in the State Dining Room and the Tapestry Room. 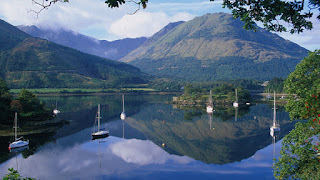 My only visit to a Scottish island was to Mull, about twenty years ago. The purpose was the formation of a Leo Club. 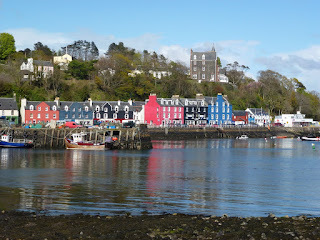 We stayed in the large grey building to the right of the picture (it is an hotel) and the meeting was in one of the colourful houses along the front. As we walked to the meeting I saw gatherings of youths under street lights. At the formation event there were plenty of Lions but only two young men. They became the new Leo President and Secretary. When I asked where the rest of the club was, I was told they were outside. So we thanked the Lions for their hospitality and then went out and found the rest of the Leos. It wasn't far to a welcoming pub. We only spent a few hours on the island in daylight, but I did see my first golden eagle, such a sight for me but commonplace for the locals. Can someone please tell Tesco's that their sign that boasts Open 24 Hours should not then be qualified by 6am to 10pm Monday to Saturday and 10am to 4pm Sunday. That's 102 hours a week, not 24. My Wednesdays are becoming as busy and full as every Thursday. John Morgan had sent additional content for the minutes from yesterday so I amended those and despatched them to all and sundry. Then I produced the agenda for next Monday. Death by Meetings avoidance means that I work hard on the agenda so that the meeting itself flows by. That was the morning gone, although I had set the slow cooker up for a hearty boeuf bourguignon and that had taken 40 minutes. It was under way before 9am for a 6pm meal. I collected the returns from the Sorting Office and processed those. That was most of the afternoon taken care of. Pauline got back from Helen just after 5pm, exhausted, so I let her settle before we got to the food. I downloaded news for Scotland and Wales and took it to the studio. Peter O'Brien was there and so I was able to come home. I was so happy at that as I was as weary as Pauline was after a day's work and a tough drive home. This is another place that deserves more attention, but most of what I have seen has been fleeting, and I don't see much opportunity ahead for further explorations. 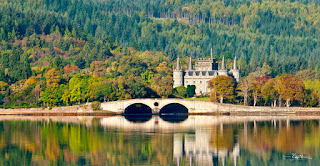 Blair Castle is set in beautiful countryside with mountains in the background and forests all around. Home to the Clan Murray (and the Stewarts) the earliest part of the building - the Cummins Tower - is dated 1269. There were further structural changes and additions, notably in 1530, 1740 and 1860. The gardens on their own are worth a visit. 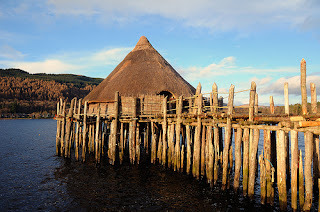 The Scottish Crannog Centre is a hands-on experience. Remains of many crannogs have been found around the lochs of Scotland, dating back to life 2500 years ago. People protected their families by building houses on stilts out into the water. At the centre you can turn your hand to some of the ancient crafts, or even take a trip in a dug out canoe. Scone Palace was the crowning point of kings even before the palace existed. 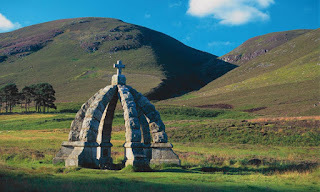 The Scone Stone was revered by the Scots, until it was stolen by Edward I. Perhaps it's time it was returned, although the last monarch to sit above it was Queen Elizabeth II. There are records of the stone being used as far back as the 9th century and Robert the Bruce (he keeps cropping up everywhere) was crowned on the stone in 1306. The palace itself is a delight to visit, especially if you are a lover of fine porcelain. We have nothing in Britain to match the majesty of the major waterfalls in the world, but those we do have soon become tourist attractions. 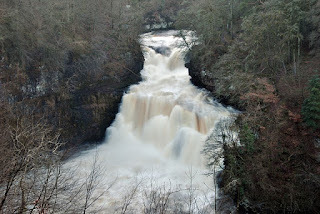 The Falls of Bruar are not as impressive as they used to be because of hydroelectricity plants up stream, but after a very heavy rainfall you can get the sense of why Robbie Burns wrote about the Bruar Water. Getting to the falls is not arduous. There is a visitor centre and car park on the A9 and it is a half mile walk. My I-pad just told me there's 100% chance of rain in 15 minutes. Given it's been pouring down for an hour I assume it means it's not going to stop. I hope it does soon, I've got to water the plants. I took my car down to have the tracking done, to be told that it was spot on. That cost me £27.60. I spent the morning on paperwork from all angles and then went over to Rugeley for our monthly meeting of the Staffordshire Neurological Alliance. The sun was low and Eastern Avenue was New England in Old England. Beautiful. There were only six at the meeting, but it's quality, not quantity that counts. Tonight I went to an information event at the Wade Street Church where the local Clinical Commissioning Group was explaining why they are going to halve the service provided by the Minor Injuries Unit at the Samuel Johnson Hospital. It will be hard to argue with their logic. 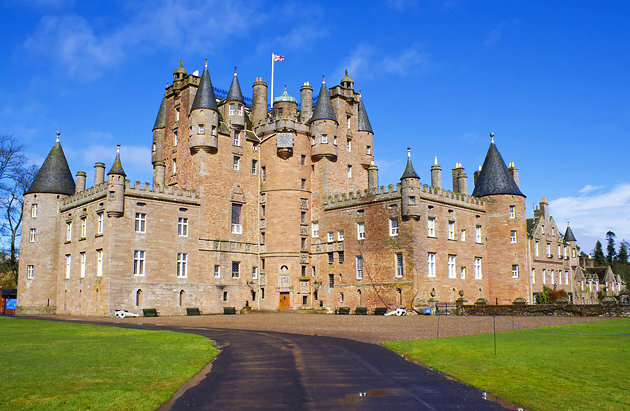 Scotland is the place to visit for castles and Glamis, home to the young Queen Elizabeth the Queen Mother, claims to be the most beautiful of them all. 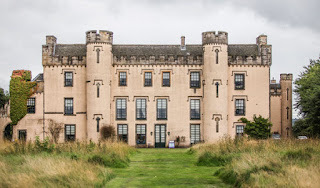 The site has been occupied for over 1000 years but was a hunting lodge until gifted to the Lyon family by Robert the Bruce in the early 1300s. The family leader became titled Earl of Strathmore, and still is. 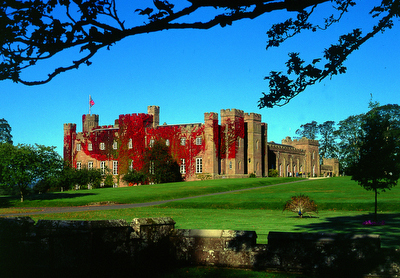 The grounds and gardens are extensive and the castle is a must for any historian. The artwork and family portraits are found throughout the castle, particularly in the 17th century drawing room, Queen Mother's sitting room, Billiard room and the Victorian dining room. 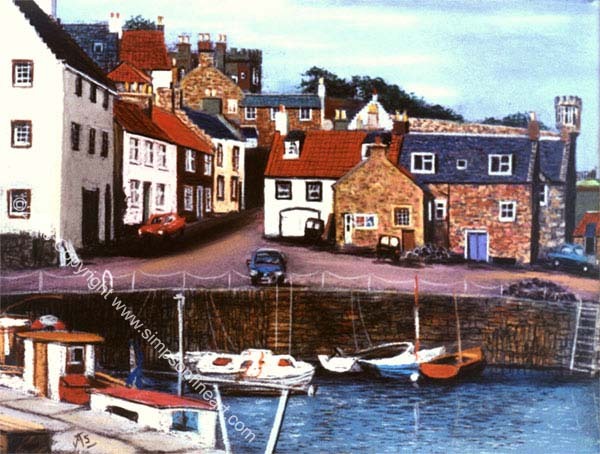 Angus is a beautiful county to drive through, especially with the enigmatic glens and the beautiful Lunan Bay. On the one time we did a car launch through the glens we were an hour later than expected getting back, because we kept stopping to take in the views. 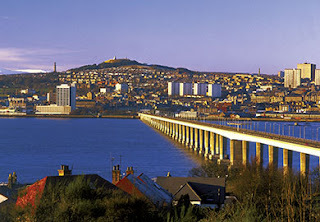 My favourite memories of Dundee stem from a three day stop there to celebrate a Lion's Convention. We had gone in numbers and were out to enjoy ourselves. The fancy dress theme for the Friday night was "Scottish Heroes". So I went dressed as a Red Indian Chief. It took them a long time to pluck up courage to ask me who I was supposed to be, but I did get my picture in The Lion magazine. We didn't rush this morning even though Pauline was planning to leave me again. The weather has not been unkind, if chilly, but there is no use rushing off straight into rush hour traffic so Pauline waited until 10am before going down to help Helen in High Wycombe. I took my work down into the dining room so that I could watch for any wildlife in the garden, but apart from the squirrel stealing all the bird food and planting it in Pauline's flower borders, there wasn't much going on. 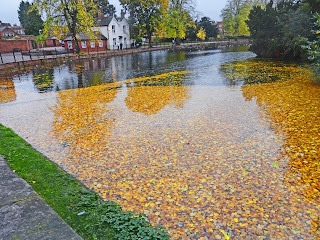 I walked into Lichfield to post a request for funding and to buy more bird and fish food. I met a friend I've known for 40 years but haven't seen for about five years. We chatted for a while and then he said "Must get off, I 've got to pick up my pills. Where do you get yours?" I told him I don't take any pills and neither does Pauline, though she does use an inhaler. He was amazed. "I just took it for granted that anybody your age would be rattling when they walk." It made me realise just how lucky I am, and hope to remain. My conscience was bothering me. 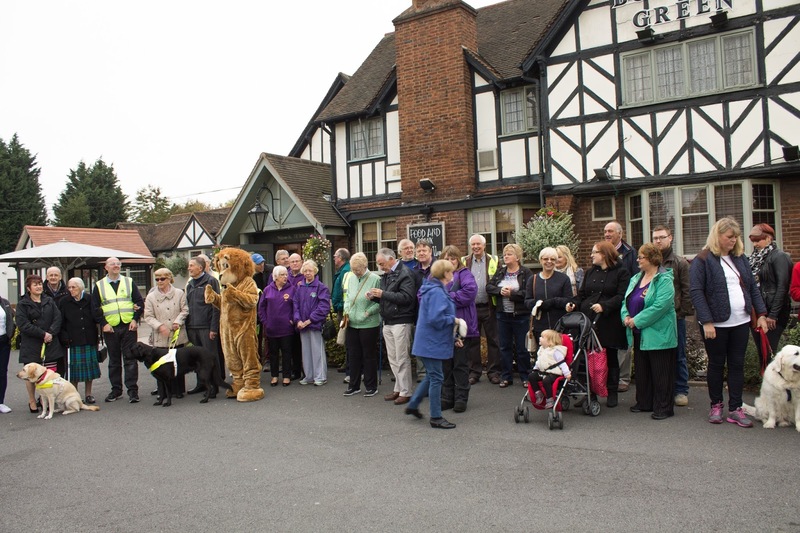 I had been asked to record a Lions publication called Lions in Your Community. 84 pages. I'd asked the Wednesday team to do it, so as not to have just one monotone, but what had been done was unusable, so I got down and did it myself. It took a full two hours and 83 tracks. 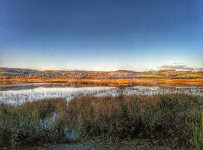 Fowlsheuth is the only place in Kincardineshire that I can remember visiting, and that because I am a member of the RSPB. 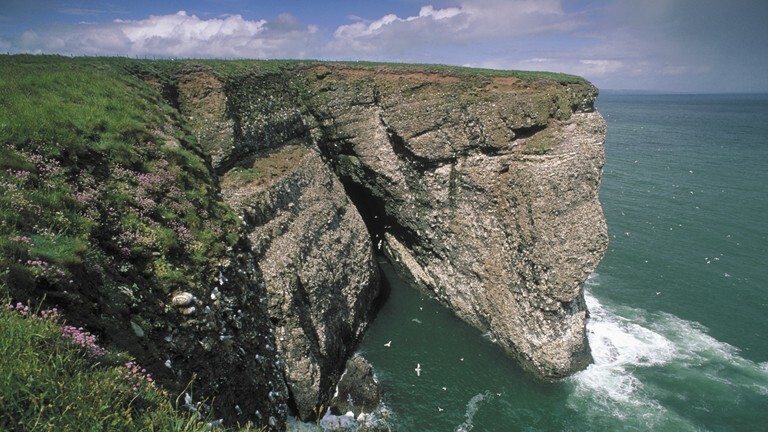 It is a northern Mecca for twitchers, but this impressive headland can be alive or starkly barren, depending on the timing of your visit. 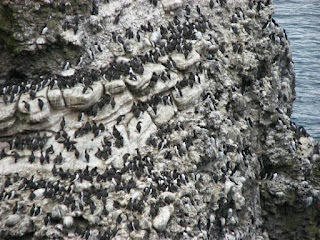 Pick your moment and you will barely see the impressive rock face due to the colonies of razorbill, kittiwake, fulmar, guillemot and - if you look closely enough - puffins. Our local rag & bone man had his house broken into and all his prized possessions stolen. He valued them at 50,000 balloons and a goldfish. Today was the District Walk for Sight. District Officer John Sanders had asked me to fix it for today and bookings at The George meant we switched to the Bowling Green, and that turned out to be a good move. I went to Beacon Street Village and collected Caterina and Frances. Caterina is totally blind (so is her sister and she was also on the walk) and Frances is 92 and wanted to walk, provided she could have an arm to lean on. We told the Bowling Green to cater for 45 people. 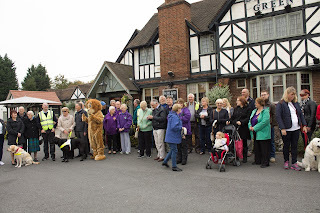 Carol is also blind and we had 3 guide dogs, and a lovely, friendly crowd of 70 people turn up. Mo is the landlord and he seemed to really take the cause on board and couldn't do enough for us. We all walked into town, down Market Street, Dam Street, round the cathedral and back across the park. I had Caterina on my arm all the way and Frances until someone else stepped in. We had some lovely conversations, but you learn it is just as difficult for the guide as it is for the blind person because conversations become interspersed with "We're coming to a dropped kerb." and other interjections. Back at the pub the buffet was a real hit with a lot of people saying how good the food was. I'd forgotten to order gluten free but we quickly discovered that only the sandwiches and sausages were out of bounds. I left feeling that everybody was on the same wavelength, that the whole atmosphere was very convivial, and that we had achieved something. It's a poor day when you don't learn something new. Last time I talked to Helen she asked if I knew that the feathers of a kingfisher are actually brown. I had to be sure, and she is right. 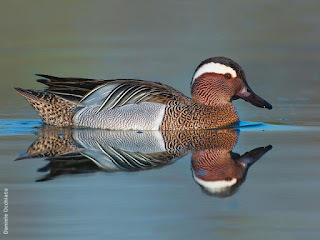 I've since found several examples in nature of light being distorted so that only certain colours shine through. 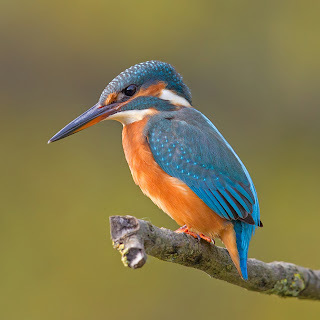 Some creatures can actually change colour at will, but the kingfisher really is an SBJ (small brown job). My friend swallowed a brillo pad instead of shredded wheat. Still, he's expected to scrape through. Pauline was the one who did the most today, mainly 3 hours of arranging flowers in church. I cleaned the patio and the kitchen floor. This being Saturday, that was it until 7.30pm when it was time for The Full Monty at the Garrick. There was a lot of fun in this show and one or two genuine moments, but I was disappointed at the over-use of bad language. There are occasions when it is justified or appropriate but I thought some of this was gratuitous. Nevertheless, it was a sell out and the Lichfield Operatics needed that. 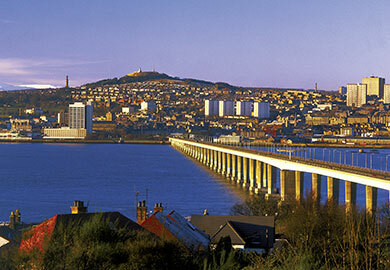 I first went to Aberdeen in the summer of 1953. I was on the seven week break that we got from school and I was a bit bored. My friend Rick had gone on holiday and there was nothing to do. I'd given up my paper rounds because I could earn more carrying suitcases at the old Elmdon Airport. I did that on Saturdays and Sunday's right up until 1957 when the highlight was meeting the victorious Aston Villa cup winners as they flew off to Majorca to celebrate beating Manchester City. A big lorry was struggling to get up Coleshill High Street and the noise woke me. It was 5am on a Tuesday. The thought popped into my head. "I wonder how far I can hitch hike in 24 hours." So I got up, had my cornflakes, left Mom a note to say I would ring when I could, and walked down to the by pass and started thumbing. I went north, mainly because what sparse traffic there was seemed to be going that way. This was long before motorways. Two rides and I got to Preston and rang Mom. Another ride and I was at the Shap, which was a dangerous bit of road in those days and was the only way over the peaks of Cumbria for heavy traffic. A lorry driver picked me up, asked where I was headed and when he said he was off to Aberdeen, I said that would do nicely. Aberdeen was nowhere near the size it is today, but was already called The Granite City and the buildings sparkled as the rising sun glinted off the mica. It had taken 23 hours to get there. The streets were deserted so I had a good look around, finding myself at what I thought was an austere grey cathedral. It was just after daybreak when I smelled bread being baked. I bought a loaf for my breakfast and then saw a big van heading out of the city. I thumbed a lift and the smell of fish hit me. The driver said he could take me some fair way south, but there would have to be a few stops. We got to a village, he pulled up and shouted "Buy me caller herring. Wholesome fish and halesome faring." I had no idea back then that these words were from a popular Scottish song of the time, but they did the trick. I spent most of the day helping that man, so didn't make much progress on my return journey. I walked through most of the night and then another long distance lorry driver said he was going to the RAF station at Castle Bromwich, and I was home by noon the next day. My Mom said "Hello, was it worth it?" Can you imagine such a thing happening in this day and age? In 1958 Clive Pitcher and I went one better and hitch hiked to Paris in 27 hours. I've made a couple of trips to Aberdeen since, but it's the first visit that sticks in my memory. 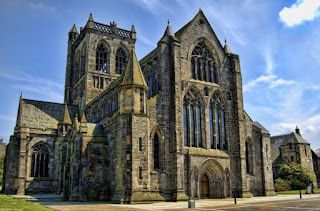 But I did find out that they have three cathedrals, whereas my memory is of St Machar's. This morning was all about catching up. There was a back log of e-mails from the past two days, plus the various talking newspapers to deliver to the sorting office. There was also a lot of paperwork to tidy regarding the TN, including two more new listeners to process. Pauline did a food shop and then saw to Rita's needs, checking first on the church flowers (they were in need of replacement), then taking her to Tippers to choose tiles for her new shower room and finally on to another food shop. I cooked tonight. I am very much a cook, certainly not a chef, and usually I am careful to pick recipes where I don't need more than two saucepans, but tonight I got adventurous, and I share the recipe because it worked. I boiled new potatoes which I then mashed with a drop of vegetable oil, butter and chives from the garden. I poached a couple of eggs. I fried the skin side of cod fillets and then baked them for about six minutes with a topping of butter and lemon juice. I microwaved a bag of spinach. I made a sauce with shallots, garlic, white wine vinegar, white wine, thyme, butter and double cream. I spooned the potatoes on to the plate, spinach to the side, poached eggs on top and the sauce to keep it warm. I'd do it again. 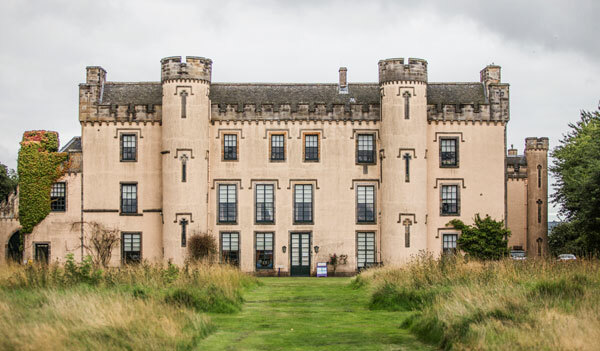 If you are interested in castles, you can spend the best part of a year in Aberdeenshire, visiting more than 300 buildings that are classed as castles. Looking back at my diaries and the limited number that I managed to visit, I was suddenly aware of how privileged I sometimes was. I realise now, though I didn't back then, that some of the places I visited and explored are not open to the general public. I've had dinner in the palace at Monaco. I've slept in Hever Castle. I was with Bob from the MGMW when he said to someone serving us lunch in a Cotswolds stately home "So what's his Lordship like to work for?" to which the man smiled wryly and said "I'm told I'm actually quite good!" My experiences around Aberdeenshire were quite limited, so maybe I'll go back and do a proper rummage. 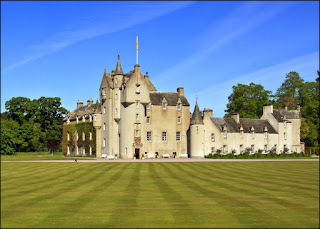 Ballindalloch Castle is a very friendly place. 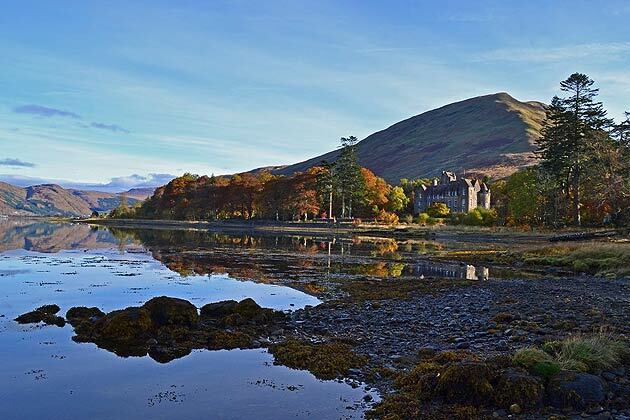 The Macpherson-Grant family have owned the grounds, set in the mountainous region of Speyside and alive with salmon rivers, since 1546, and they make visitors very welcome. Even the ghost of General Grant is famous, as he searches for the wine cellar, and the beef cattle are the oldest Aberdeen Angus cows in Scotland, because this is where the breed was first developed. Aberdeen Angus is still the best beef. 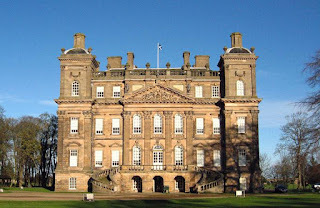 Duff House is considered to be one of the finest examples of Georgian architecture. 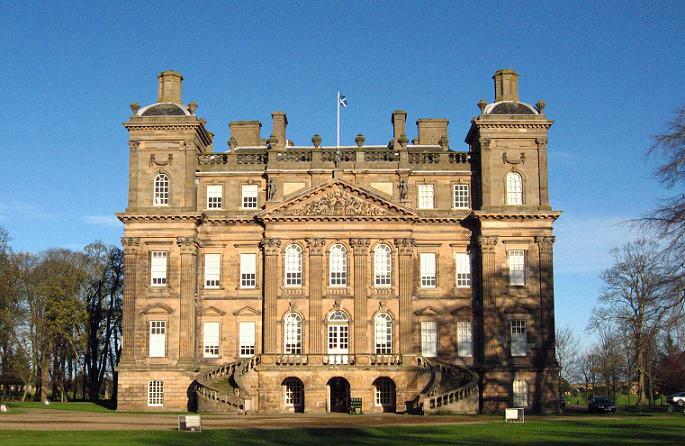 Designed by William Adam and built during 1735 - 1740, it has 50 rooms, many of which now display the art treasures of the National Galleries of Scotland. Forglen House stands on the site of the original building that was constructed in 1346. The current building was completed in 1839 and this is one that is not open to the general public. 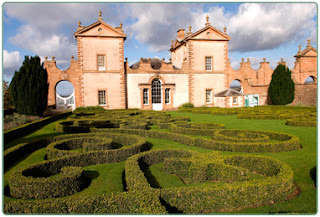 The rooms were not to be explored but the walled garden was worth a visit. Balmoral has had stately buildings on the grounds since 1350 but it was Queen Victoria and Albert who created most of the building that we see today. 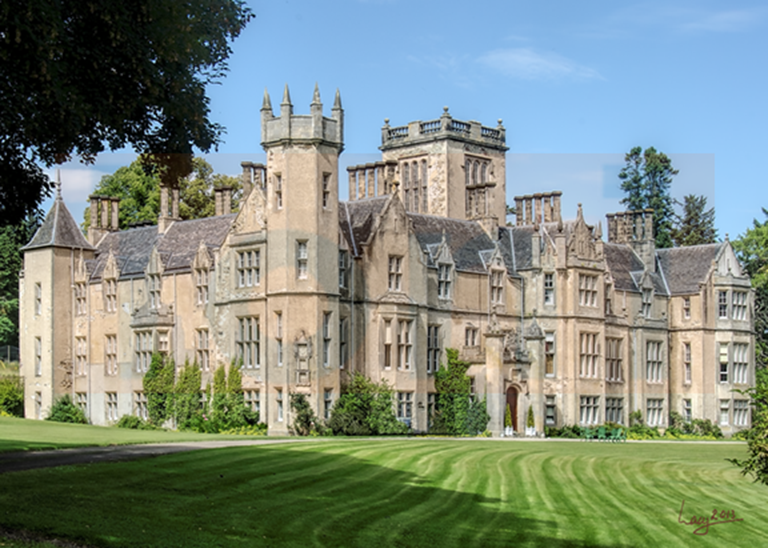 The house that was bought in 1852 was deemed too small and big changes had been made by 1856, and even more since as various members of the Royal Family have stamped their mark on the estate. Still very much the summer home to the Royals, the many turreted castle is open to the public from April until July, and there are also some winter tours. Inside the building it is only the ballroom that most visitors see, but the grounds on their own are enticing as the estate is set in beautiful romantic countryside. 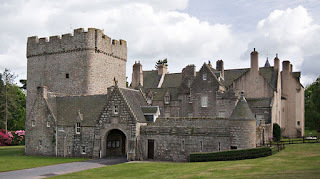 Drum Castle was gifted to the Irvine family by Robert the Bruce in 1323, just before he began his well known study of arachnology. This is another place where the gardens can be as attractive as the house. Apart from the walled garden, the paths in the main estate meander passed colourful flower borders and in the spring they shine with bluebells and rhododendrons. I went passed the Samuel Johnson Hospital and the sign on the gate said Guard Dogs Operating. I thought, what are these NHS cuts coming to. They're not coming near me with a scalpel.